Marcos A. Tapia is trusted by clients in a variety of industry sectors and regularly provides counsel in regard to commercial, business dispute, real estate, insurance, contract, and tort litigation matters. Marcos also has experience as a real estate salesperson, loan originator and a relationship and business banker for a major regional bank. While in law school, Marcos received the CALI Award for Academic Excellence for his Legal Writing Substantial Paper, participated in the Immigration Clinic as a certified Rule 38 Student Attorney and was selected to participate, being placed with one of Arizona’s largest firms, in the prestigious Maricopa County Bar Association’s Diversity Writing Program. Marcos was also an active member of the Chicano/Latino Law Students Association (CLLSA), where he served as President, and served on the Executive Board for the Law Journal for Social Justice. Marcos further honed his legal writing and advocacy skills as a Judicial Intern for the Honorable Susan R. Bolton at the United States District Court for the District of Arizona, where he also participated in mock oral argument, and subsequently as a judicial Extern for the Honorable Mary H. Murguia at the United States Court of Appeals for the Ninth Circuit. Upon graduation from law school, the Maricopa County Bar Foundation, American Bar Association, Maricopa County Bar Association, and the Los Abogados Hispanic Bar Association had all recognized Marcos as a top diverse student scholar. Marcos was also awarded the Dean’s Award for outstanding performance at the College of Law and was honored with the highest distinction for Pro Bono hours completed, placing in the top five students in his graduating class. In addition to serving clients on behalf of the firm, Marcos is making an impact on the general and professional legal community. 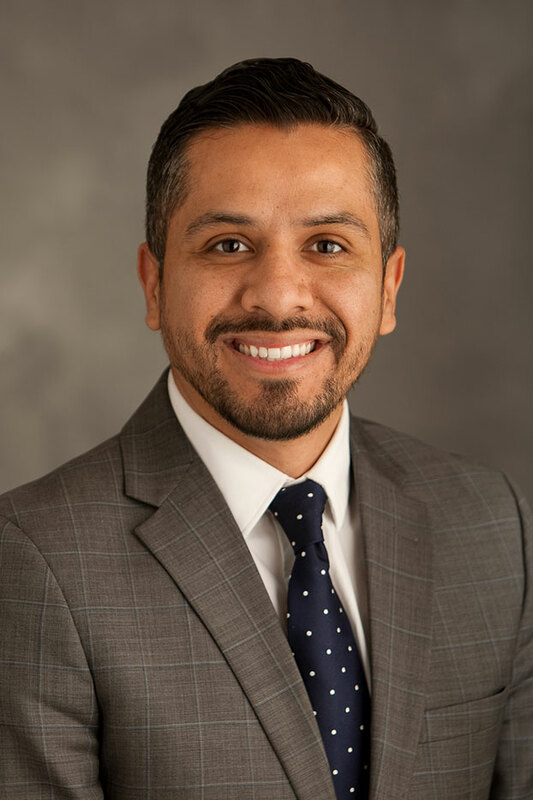 He is a graduate of the esteemed State Bar of Arizona’s Bar Leadership Institute and also a graduate of the prestigious Valle Del Sol’s Hispanic Leadership Institute. Currently, Marcos is an active member of the Board of Directors for the Los Abogados Hispanic Bar Association, serves as a Deputy Regional President for the Hispanic National Bar Association and is a member of Class 39 of the Valley Leadership Institute. In his spare time, Marcos is further active in various Arizona political, legal, community, and charitable organizations.